After constitution of an SIT in 2015 following an order of the Ministry of Home Affairs, the case was re-opened and further investigated. SIT has failed to gather evidence against accused in the case, police told Delhi court. 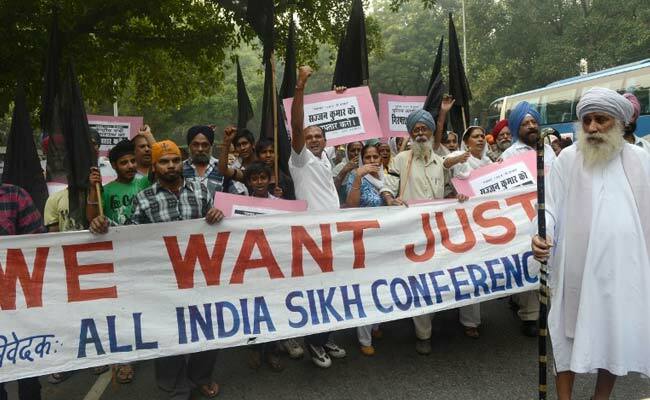 New Delhi: The Special Investigation Team (SIT) has decided to close a 1984 anti-Sikh riots case in which two men were killed by a mob in central Delhi as no evidence regarding any accused could be collected during its reinvestigation, police has informed a Delhi court. The police told Metropolitan Magistrate Abhilash Malhotra that it has been decided to close the case, which was re-opened following the decision of the SIT. After constitution of an SIT in 2015 following an order of the Ministry of Home Affairs, the case was re-opened and further investigated. The court was also informed about it. The court has issued notice to the family members of the two Sikh men who were killed by a mob near ISBT, Kashmiri Gate in Central Delhi on November 1, 1984 during the riots that broke out following the assassination of then Prime Minister Indira Gandhi. In its latest 16-page report filed before the court, the police said, "No incriminating direct or circumstantial evidence is available against any person. Hence, further investigation of the case has been closed. According to the prosecution, on November 1, 1984 police officials saw people shouting near ISBT taxi stand and 15-20 vehicles were being burnt and around 500 rioters were carrying sticks and stones. They were allegedly raising slogans, and when the police tried to arrest the rioters, they fled in different directions, it said, adding that officials saw two sikhs lying injured. The two men were taken to hospital where they were declared brought dead by a doctor. The police team made arrangements for other members of the community who were present at ISBT and sent them to a gurudwara for shelter. A case for offences including murder, rioting, indulging in rioting armed with a deadly weapon and mischief by fire or explosive substance with an intent to destroy a house under the IPC was registered at Kashmiri Gate police station here. During investigation, when identity of the offenders could not be established, the case was marked untraced by the then investigating officer on May 1, 1985. The police said that during further probe, it examined various witnesses who said they cannot identify the rioters.